Umpqua Oats are the on-the-go super premium oatmeal that is a quick, satisfying and fun breakfast choice, making mornings a breeze for parents and giving even the choosiest eaters variety. 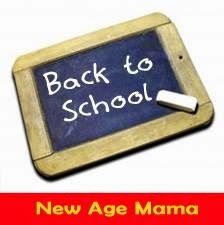 Launched in 2008, the company was founded by two moms who were looking for a tasty and healthy alternative to the typical instant oatmeal packets. Each single serve, portable portion of Umpqua Oats super premium oatmeal takes only three minutes to make with hot water and is packed with custom milled rolled oats, fruits or other all natural ingredients. 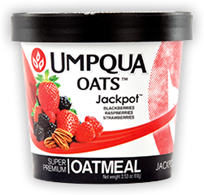 Umpqua Oats can be purchased nationwide at grocery and club stores, and is also available nationally at local coffee shops or through the company’s website. Oatmeal is one of my kids' favorite breakfasts, but when I have four children to prepare for school, there's not much time to make it from scratch. I've used instant oatmeal before, but they were too sugary and just didn't taste like the real thing. Thankfully, Umpqua has come up with a delicious instant oatmeal that's easy to make, tastes amazing, and is packed with all the nutrients kids need to get a healthy start in the morning. What makes the Umpqua Cups really unique is that it's fast and easy. Just add water, and in mere seconds, you'll have a hot cup of oatmeal that's the perfect texture every time. Its chock full of fruits, and real oats. The result is an amazing breakfast that tastes like homemade oatmeal every time. The only difference is, there are no pots to scrub when you're done! Send your kids off to school right with Umpqua Oats On-the-Go Super Premium Oatmeal today!